Sssh – don’t mention the Chinese! THE Conservation and Environment Protection Authority (CEPA) has received a notification of intention by PanAust to develop the Frieda gold mine as required under the Environment Act 2000. As part of the process to obtain an Environment Permit to develop the mine, the company has met the initial requirements of the legal process by submitting to the Director for Environment an Environment Inception Report. 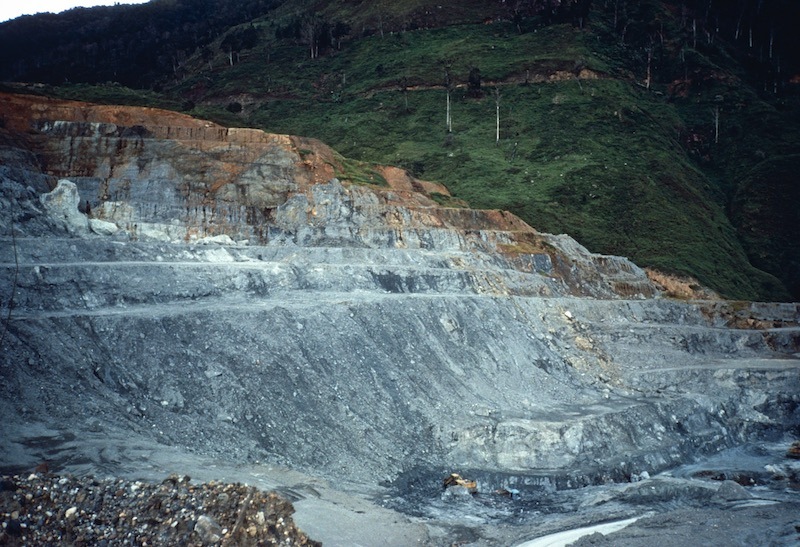 Information CEPA has to date on the proposed gold mine is contained in the Environment inception Report. Copper mineralisation was first identified at Freida River in 1966/67, with the first exploration permit (termed a Prospecting Authority) held by Mount Isa Mines Ltd. Since that time, the area has had a long history of exploration activities undertaken by numerous companies, with exploration permits held from 1967 to the present day. 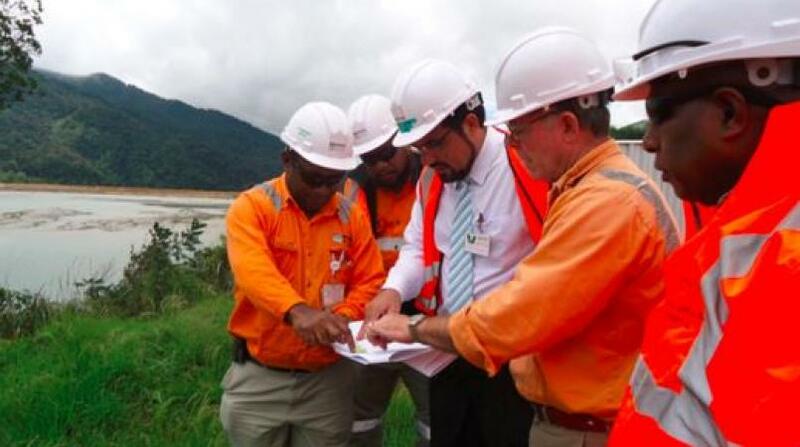 The project is located within the Sepik River catchment and would comprise development of the Horse-Ivaal-Trukai, Ekwai and Koki (HITEK) copper-gold deposit in Telefomin district, West Sepik. 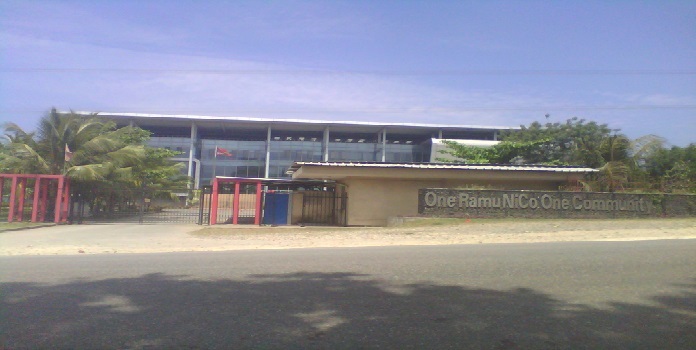 The project lies some 200km south of the northern coastline of mainland PNG and 75km east of the border with the West Papuan province of Indonesia. 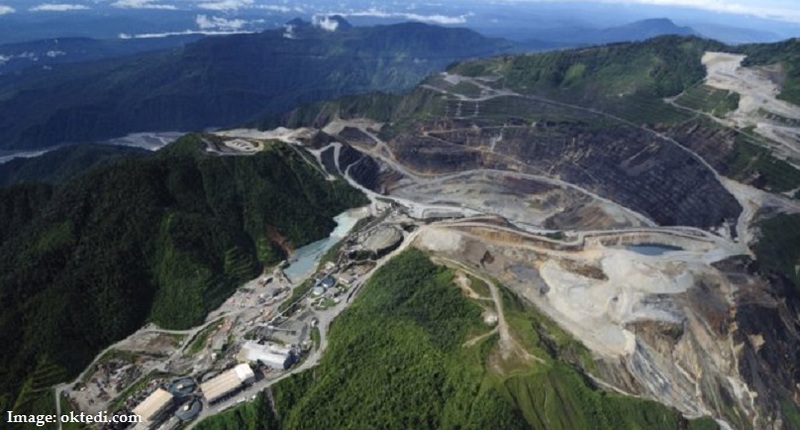 The project would be developed by FRL, a company owned by copper and gold producer PanAust Limited on behalf of the joint venture between FRL and Highlands Frieda Limited (HFL), a wholly-owned subsidiary of Highlands Pacific Limited (HPL). These deposits contain significant gold and copper with an estimated mine life of 17 years. The proponent for the project is FRL as manager of the Freida River Joint Venture and on behalf of joint venture participants FRL and HFL. The participants and their equity in the project are: PanAust Ltd (80 per cent), Highlands Freida Limited (20 per cent). Pan Aust Limited is a copper and gold producer in Southeast Asia and has a portfolio of organic growth projects in Laos and Chile. The mine processing method will involve conventional crushing grinding and flotation circuit. Mine tailings and waste rock will be contained within an engineered Integrated Storage Facility (ISF). The mine will also have quarries to provide materials for the construction of dams, roads, water diversion bunds, infrastructure pads and the construction of the ISF embankment. During the construction phase, power generation will be provided by diesel generators. Following construction phase and during operations, a portion of the power will be supported by hydroelectric power. The Nena River will supply all raw water requirements for the mine. A main access road will connect the Sepik River port, Kaugumi Creek airport, Freida River airstrip, IFO power station, ISF, process plant, mine infrastructure area and accommodation camps. Construction: Freida River port and Sepik River port will accommodate transport of construction materials to the mine site. The Wario River port, adjacent to Nekiel, will provide access for construction of the main access roads. Operations: The Sepik River port will be used for import of equipment and consumables and export of concentrate. A tugboat refuelling facility will be located at Pagwi and a mooring point will be located upstream of Yambon Gate. Mine equipment and consumable will be received at the Port of Wewak where it will be transferred to barges, transported to the Sepik River and then trucked to site. Concentrate will be transported in barges along the Sepik River and the Bismark coast to a new concentrate export facility at Cape Moem. Accommodation construction: Main (mine camp) – accommodation for 1500 personnel and various other accommodation facilities at different locations. Construction: Peak construction workforce of 3720 personnel. Operations: About 2000 personnel with a further 1000 ISF contractors in Years 1 to 9 ongoing construction campaigns for the ISF. Existing Freida River airstrip to start followed by a new airport to be constructed at Kaugumi Creek. Integrated Storage Facility (ISF) will be constructed in the lower Nena River catchment about 4.5km upstream of its confluence with the Ok Binai. Along with the large open-pit void, it will be the most prominent feature of the mine. The primary design objective of the ISF is to safely store tailings and waste produced by the mining and milling operation. This design has been subject to international expert peer review by Pan Aust’s ITGRP, which has been established to access the adequacy of the design of the ISF and the underlying studies informing this design, and to provide recommendations on additional studies or evaluations to address areas of uncertainty. Director of Environment issues Environment Permit. The above process can take up nine months to complete and is also dependent on adequacy to technical information submitted. CEPA will also conduct its independent peer review on critical aspects of the project submissions will then be presented to the Environment Council for deliberation and recommendation to the minister to issue an AIP. The deep seas are some of the most uncharted ecosystems in the world. Scientists say we know more about the surface of the moon than the deep seas. Yet the world’s first commercial deep sea mining operation for gold, copper and silver in the Bismarck Sea could be underway in just a year. But, as Georgia Clark reports, Papua New Guinea locals are considering a lawsuit, calling for greater transparency and fearing the project could cause irreversible damage to one of the world’s few pristine frontiers. In the next hundred years, humankind is set to face ever more pressing environmental challenges. With climate change already taking hold, scientists say conservation is crucial. But economies with growing populations continue to depend on finite resources, like fossil fuels and minerals, pushing exploration for deposits into new frontiers. And that quest for resources has come to an underwater biosphere off the coast of Papua New Guinea’s New Ireland Province. Canadian mining company, Nautilus Minerals, has been developing a plan to extract high-grade deposits of copper, gold, zinc and silver on the seabed near the mineral-rich underwater Hydrothermal Vent Systems. 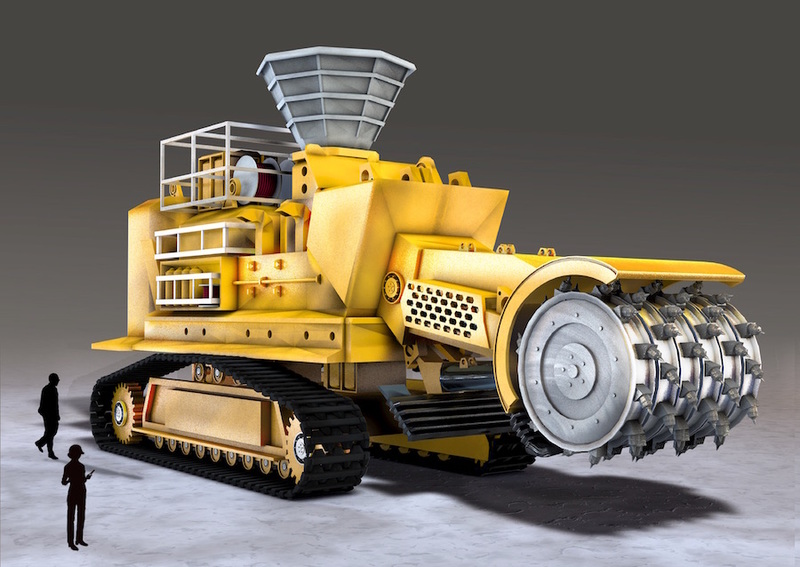 According to their Environmental Impact Statement, remote-controlled seafloor mining devices would collect ore that will be sent to the surface for processing. Known as the Solwara 1 project, the 25-acre underwater site is slated to become the world’s first commercial seabed mine. But the project has been under fire, with critics arguing that the environmental risks are too high and, more recently, calling on Nautilus to be more transparent. Some Papua New Guinea locals have raised concerns about the government’s 15 percent stake in the project. FSRN sent multiple interview requests to Nautilus Minerals over a three-week period. A company representative said Nautilus CEO Mike Johnston would be unavailable for comment until after the story’s publication. In past statements, Nautilus Minerals has expressed confidence that cutting edge technology will allow the company to mine the seabed in an environmentally responsible way. But Professor Steiner, who conducted his own independent study into the proposed mine, says the project warrants extreme caution. While some environmentalists argue there is insufficient conclusive evidence to give the world’s first commercial deep sea mine the green light, Nautilus argues the benefits of deep sea mines outweigh those of terrestrial mines. Copper density in the Solwara deposit is reputedly several times higher than what is typical in terrestrial mines. It’s copper that Nautilus says will help meet worldwide demand for goods like smartphones and computers. Natalie Lowrey of the Deep Sea Mining campaign says consumers need to consider costs behind the price tag. While Nautilus has outlined mitigation strategies, such as transplanting sea animals in the path of the mines, with the integrity of their sea life and cultural practices at stake, locals say court action is foreseeable. With operations set to commence in 2018, the clock is ticking. A delegation of senior MCC officials from China have been in Papua New Guinea this week to protest about the lack of profits from the Ramu nickel mine and seek further concessions from the government on top of their existing 10-year tax holiday and government subsidies for vital infrastructure and landowner negotiations. MCC vice president Xiao Xuewen and chairman of Ramu NiCo management Zong Shaoxing spent Sunday and Monday meeting with Government ministers, including Mining Minister Byron Chan, Environment Minister John Pundari and Transport and Infrastructure Minister William Duma, in Port Moresby. Xuiwen told the government that in order to prevent mine workers, contractors and suppliers from losing their jobs, it was necessary for “MCC Group and Government to put a joint effort to ensure survival and development of the project”. MCC says Minister Chan assured that his office and the Mineral Resources Authority would be doing their best to help the Chinese. Environment Minister John Pundari told the Chinese his department would continue to assist and support the development of the Ramu mine – clearly forgetting that his department’s role is supposed to be as an environmental watchdog ensuring the highest standards and protecting the people and environment rather than providing a support service for foreign mining companies! 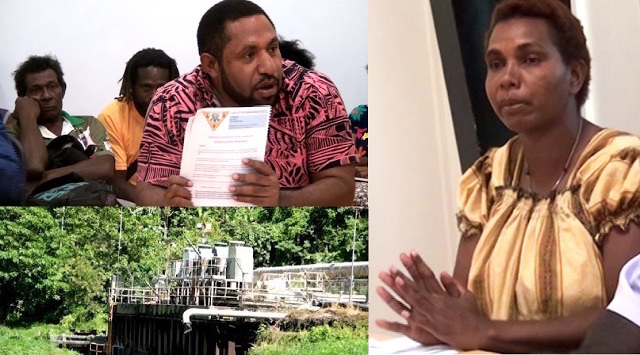 KANDEP MP Don Polye has urged the Government to present a comprehensive plan on how to address tailings disposal and the other environmental damages at the Ok Tedi mine in the North Fly district of Western Province. He said this yesterday when noting the passing of the Eleventh Supplementary Agree-ment Bill on the OK Tedi mine extension in the Star Mountains. The former treasury minister said the Environment and Conservation Department was responsible for the planning of the mine tailings. 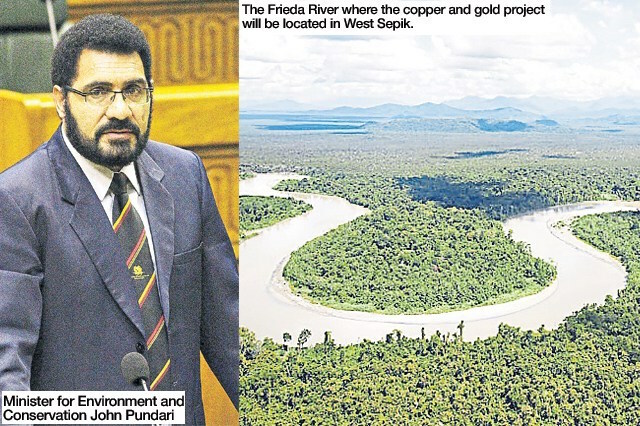 Environment and Conservation Minister John Pundari said the OK Tedi mine was not a new mine and building another tailings dam would be a costly exercise. The money would be better spent on the people to clean up the previous mess caused by the mining operations. The passing of the Ok Tedi Mine Exension (Eleventh Supplementary Agreement) Bill by Parliament means that the life of the mine would be extended under its full control and authority over its future development. “This Government has changed the style of operating mines inside this country and has set the foundation for new features for more mines to come,” said Public Enterprises and State Investment Minister Ben Micah.